FortuneNEXT 6.5 Enterprise is a robust hotel property management software. It is designed to address technological needs of big hospitality properties. Especially, due to its centralized data integration, users can adopt this hotel software to ensure efficient property management. Thus, hoteliers can improve their properties overall productivity and performance. Work for FortuneNEXT 6.5 Enterprise? Learning about FortuneNEXT 6.5 Enterprise? Front office system intended for motels, hotels and similar properties within the Australian hospitality market. * We monitor all FortuneNEXT 6.5 Enterprise reviews to prevent fraudulent reviews and keep review quality high. We do not post reviews by company employees or direct competitors. Validated reviews require the user to submit a screenshot of the product containing their user ID, in order to verify a user is an actual user of the product. 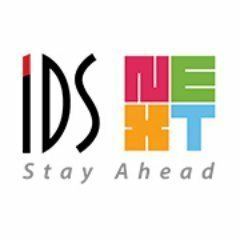 Company: IDS Next Business Solutions Pvt Ltd.
Hi there! Are you looking to implement a solution like FortuneNEXT 6.5 Enterprise?